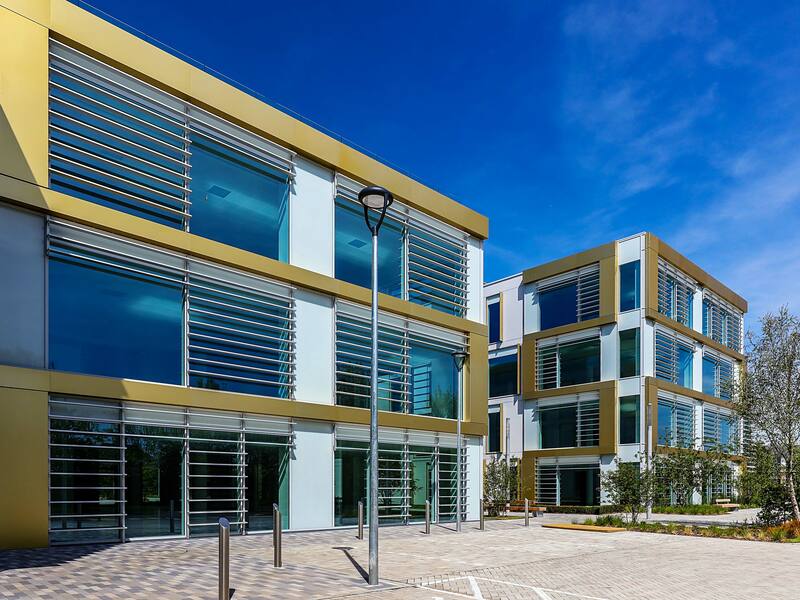 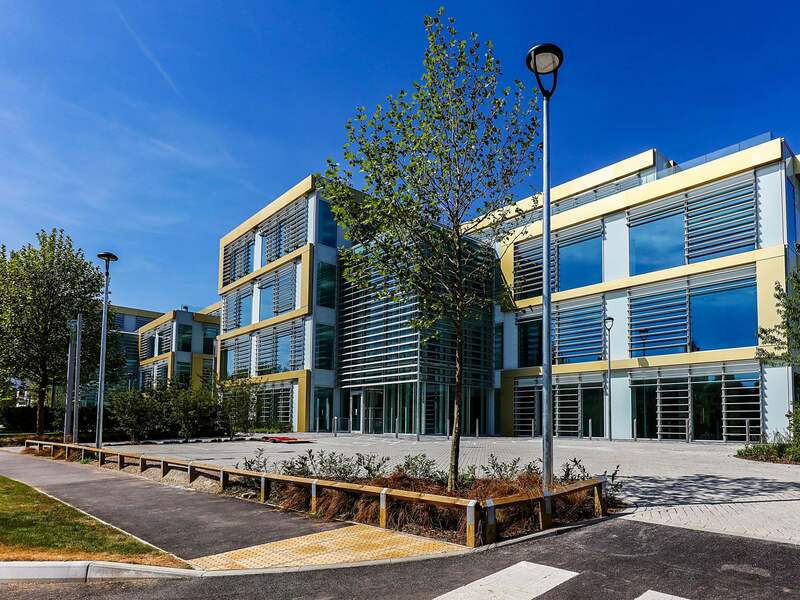 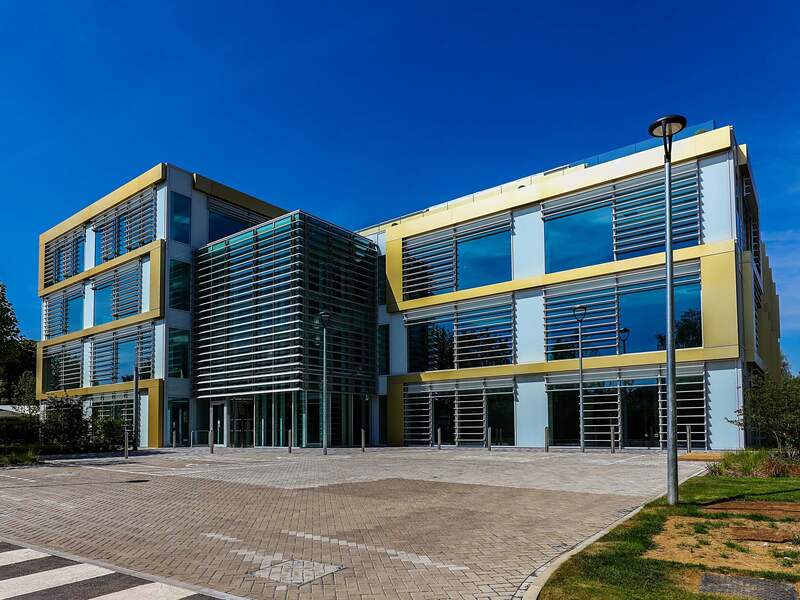 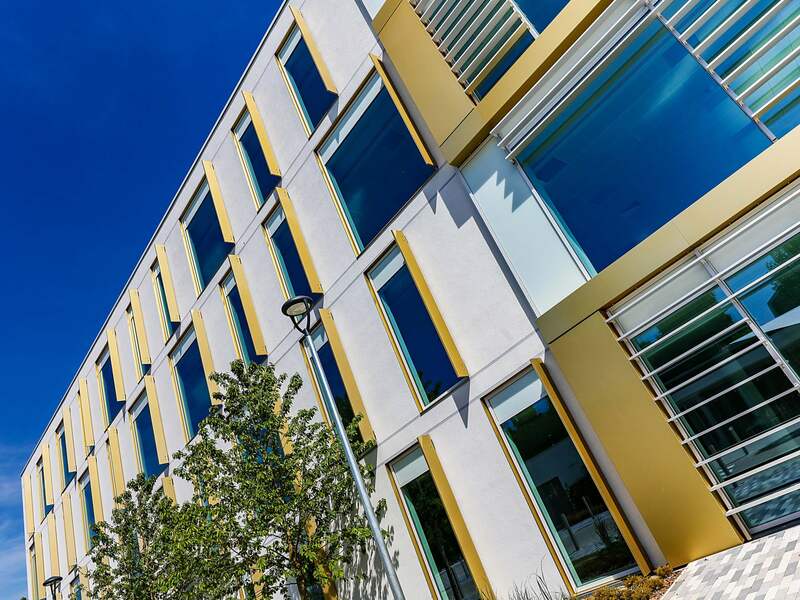 The Bourne Business Park in Weybridge Surrey has recently completed two new attractive office spaces totalling over 90,000 square feet. 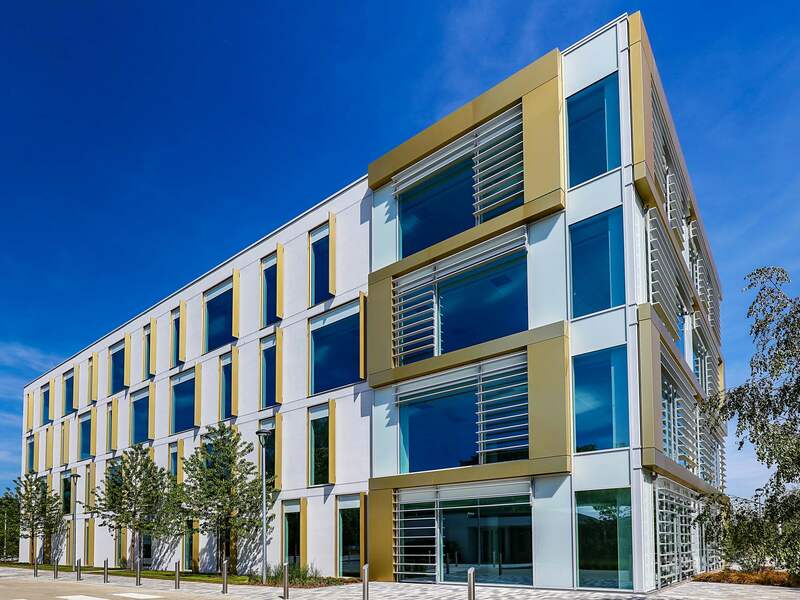 This smart office space built for La Salle Investment Management by Volker Fitzpatrick features new thinking in office design and features a range of metal fabrications on the external envelope manufactured and supplied by Metalline. 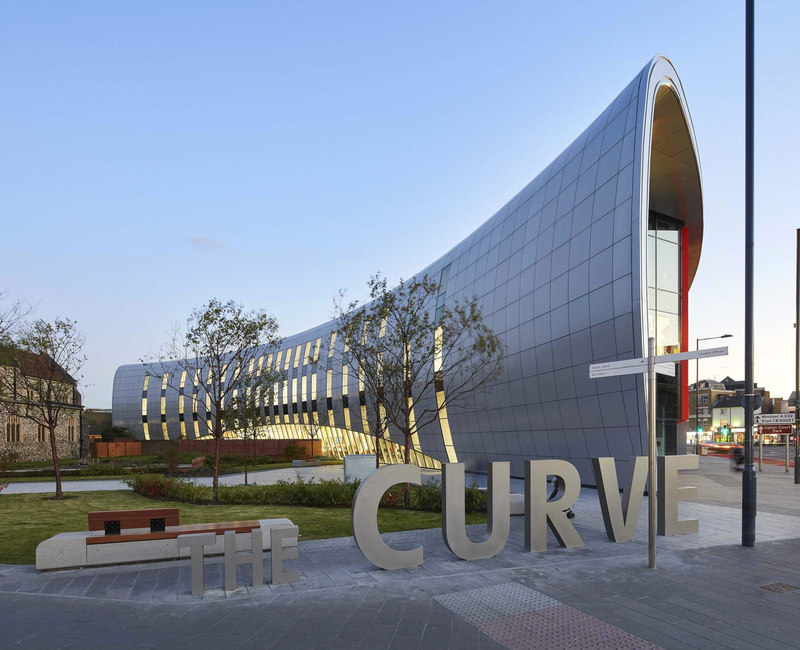 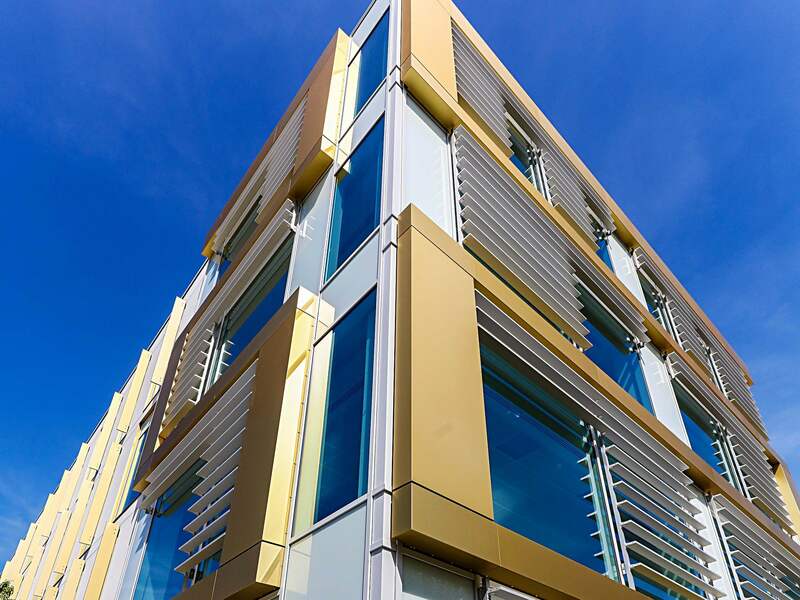 Using high grade J57S UP aluminium, Metalline manufactured and supplied a range of aluminium pressed components. 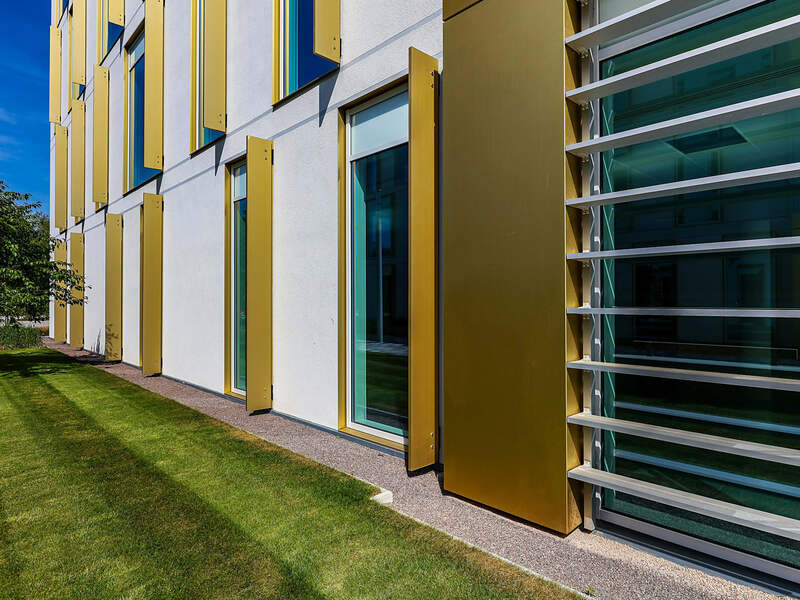 These included a specialist fascia panel that incorporated bespoke internal supports to ensure that the front face of the panels remained extremely flat together with heads, jambs and cills, for the window pods. 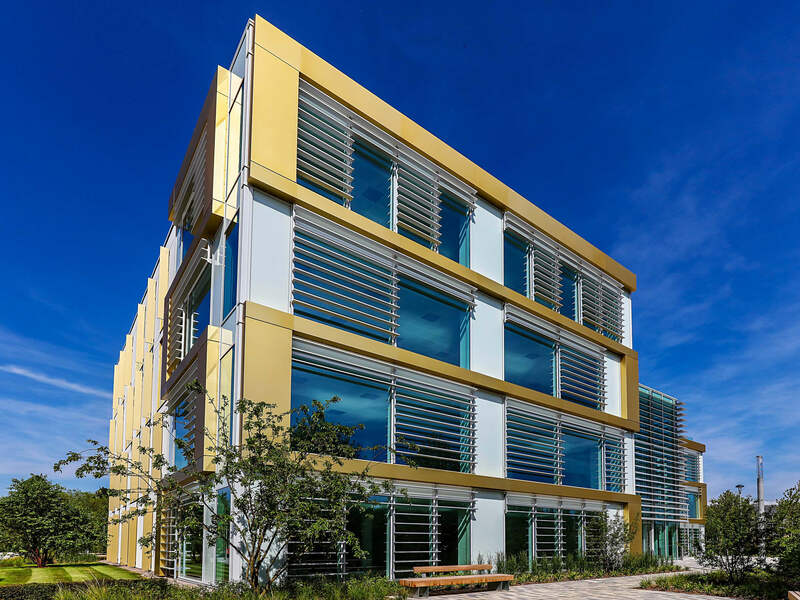 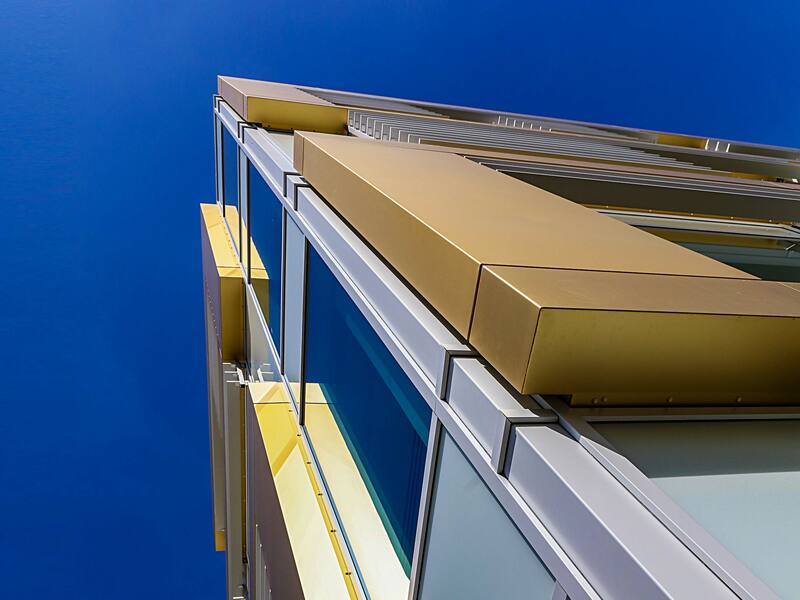 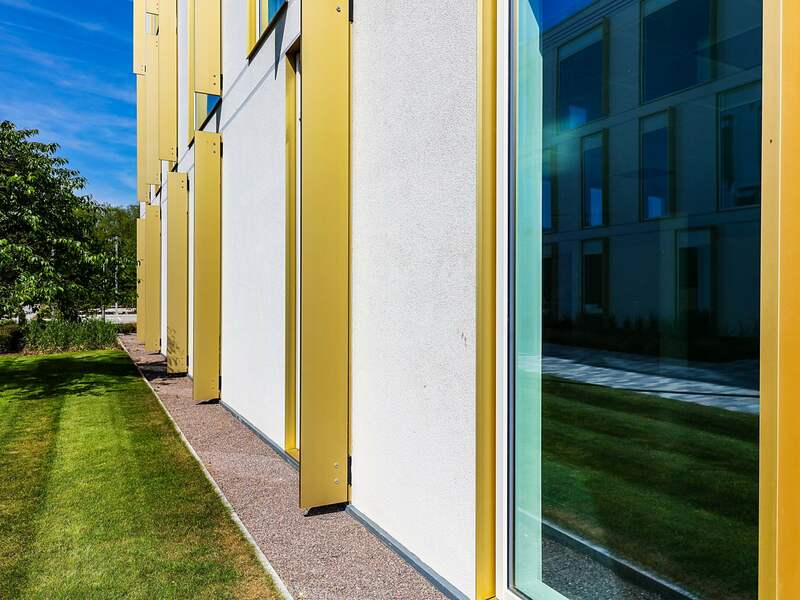 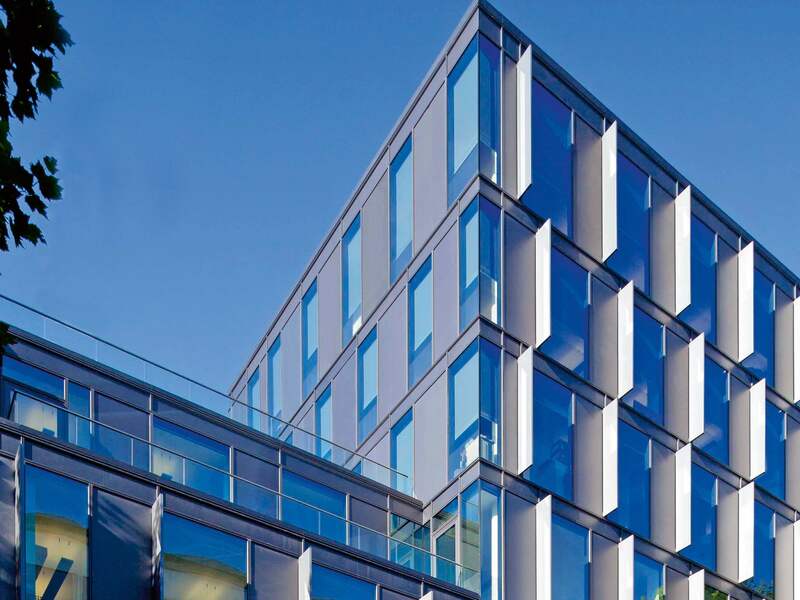 To accentuate the flat clean lines of the building, Metalline produced a special secret internal dual toggle, which guaranteed that each panel was aligned correctly and there was uniformity across all the panels. 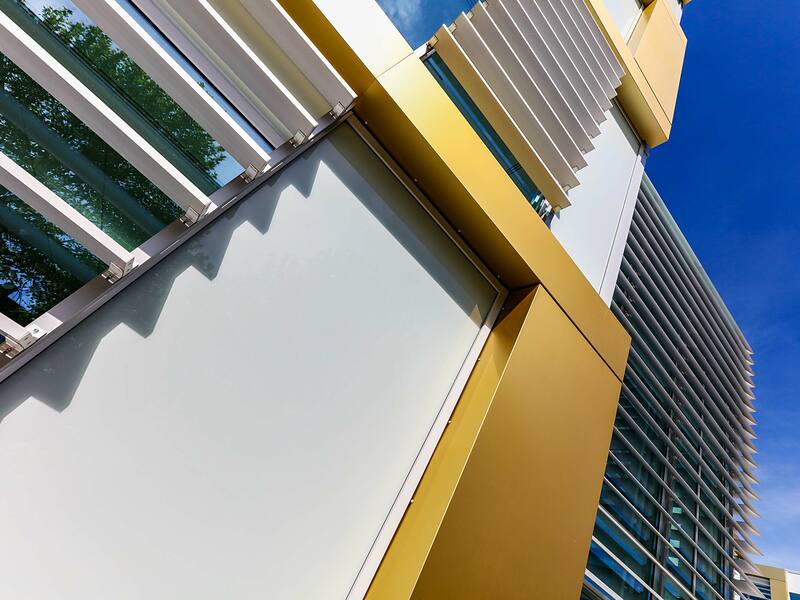 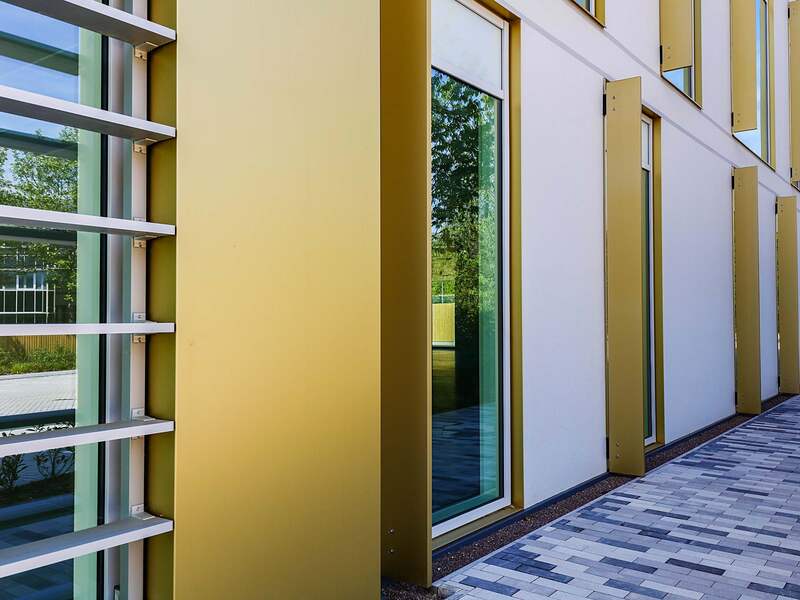 Designed to attract the eye these smart office spaces feature panels and pressings finished in a specialist Regency Gold 2 anodised finish together with glazed in panels in RAL 7035 light grey that were also supplied by Metalline.